Every girl loves her accessories, and every girl loves her dolls. So, we decided as today's how to Tuesday, to offer a matching dolls purse!! Isn't that perfect?!? Every girl will be thrilled for her dolly to have matching accessories! 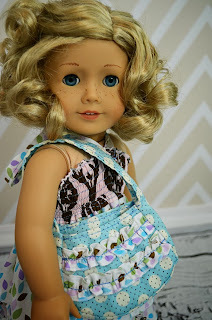 As with all CKC patterns, this pattern is girly, ruffled, and super easy! 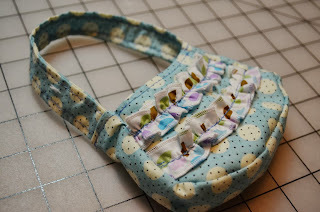 This is also great because it doesn't take much fabric- you can probably even use your scraps! Very big impact with very little work and cost. For this girls free purse pattern that we released this spring, follow this LINK. And for the free doll purse follow the link below to download yours today. Well that is all for me. I have a sweet little one who is teething and wants me to snuggle. This is adorable - where can i find the matching little girls purse? Thanks! Thank you. 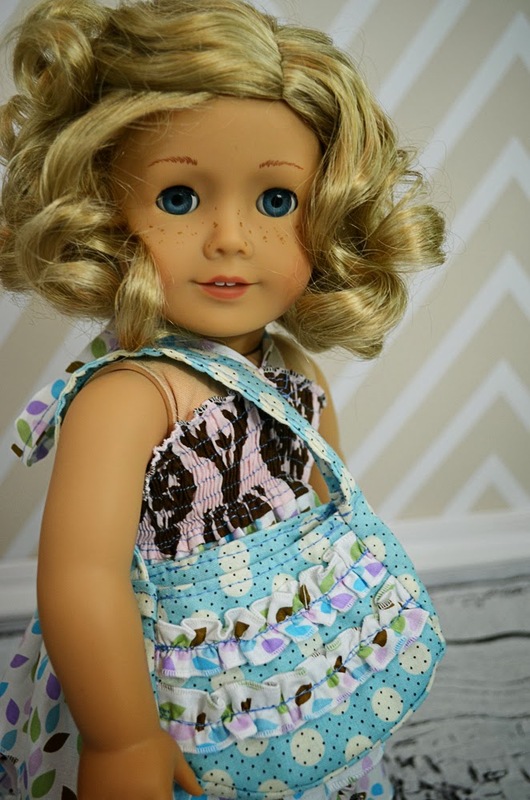 The purse is adorable, and granddaughter will love it for her AG dolls.